Dreamforce 2018 Admin Track Call for Presentations is Open! We want YOU to present at Dreamforce! Dreamforce ’18 is coming, and we need #AwesomeAdmin content for the Admin Track! The Admin Track at Dreamforce 2018 is the platform for Admins to deliver and absorb engaging, actionable, and memorable content that helps them become awesome Salesforce Admins, drive success for their business, and elevate their careers. Today, the Dreamforce ’18 Call for Presentations is officially open! The Dreamforce Admin Track Call For Presentations will remain open until July 15, 2018. Our aim is to have all acceptances out by August 4, 2018. For those of you who are new to speaking or have never attended Dreamforce before, never fear – as long as you are passionate and knowledgeable you’ll be fine! 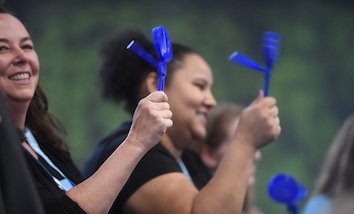 We love first-time speakers and provide a great deal of support as you get ready for the Dreamforce stage, including a wonderful Public Speaking Skills module on Trailhead. Breakout sessions will be in 40-minute blocks. We recommend you plan 30-35 minutes for your presentation, leaving the last 5-10 minutes for questions and discussion. Theater sessions will be in 20-minute blocks. This format means there isn’t availability for a question and discussion time, however, speakers can meet with audience members in the Admin Meadow after their presentation. What’s the difference between a breakout session and a theater session? Breakout sessions are held in dedicated session rooms with seats. Breakout sessions allow you, the speaker, to dive deeper into a topic because you have more time to cover it. The format also allows for audience members to engage with the speaker and ask questions. 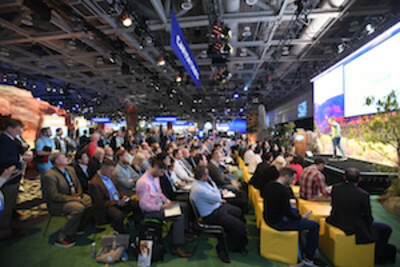 Breakout sessions can be scheduled throughout the Dreamforce campus, however, we do our best to keep Salesforce Admin sessions in the same location. Theater sessions are held in the Admin Meadow on the theater stage. Dreamforce attendees are free to walk up and listen to your session, or take a seat in the audience. 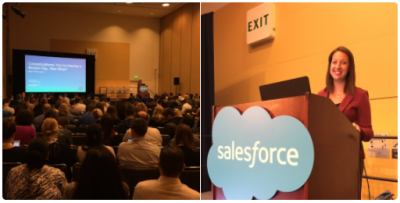 Theater sessions are shorter in length—20 minutes total— and often center around topics that are easy for Salesforce Admins to engage in. 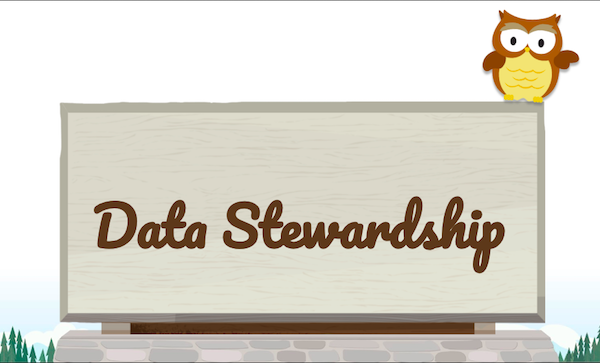 A strong format is to have actionable items for Admins to learn in a short time period. First, let’s start with the Presentation Title. 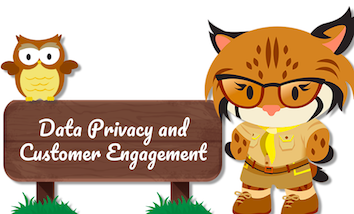 It should be something that will be of interest to Salesforce Admins, and you should word it in a way that makes it very clear to those attendees what you’ll be covering (in no more than 80 characters). Remember at Dreamforce the content options are many, so you’ll want your topic to be very clear. The Presentation Abstract field is where you’ll write a short paragraph to quickly tell us what you’re going to talk about. Be creative! Don’t just explain your slide deck, but share your ideas for interacting with the audience: What are you going to build/demo? What discussion will you lead? What will your audience be able to take home with them and show to their companies? Remember this will eventually be published in the Guide and will be the public-facing view of what your talk is about. It should be compelling and clearly communicate what attendees can expect to learn from your session. If you have more than one topic you’d like to propose, please complete the submission process again for each topic. Of course, you can submit as many proposals as you like, but we find that when speakers focus their energy on two or three great proposals they often shine above the rest. Process Automation: Actions, Process Builder, or Lightning Flow? This list is by no means exhaustive – if you have a great session proposal that we haven’t mentioned, we’d love to hear about it! Need some inspiration? Check out videos from all of the sessions from 2017. Note that this call for presentations is aimed at sessions focusing on tools and technologies, by Admins, for Admins – show us the Setup Menu! Your session proposal will be reviewed by our core team, and selections will be made to ensure we have the best mix of valuable content for Admins & Developers of all experience levels. You will hear from us by August 4, 2018 letting you know the status of your submission. If your session is accepted, you will be connected with a session owner to guide you through the preparation process that includes feedback on your content and practice sessions. You will also receive a speaker pass to attend Dreamforce 2018. If you’ve already registered to attend you’ll get instructions on how to either refund that registration or transfer to a co-worker. The call for presentations for Dreamforce 2018 has closed.